Product prices and availability are accurate as of 2019-04-24 13:50:04 EDT and are subject to change. Any price and availability information displayed on http://www.amazon.com/ at the time of purchase will apply to the purchase of this product. 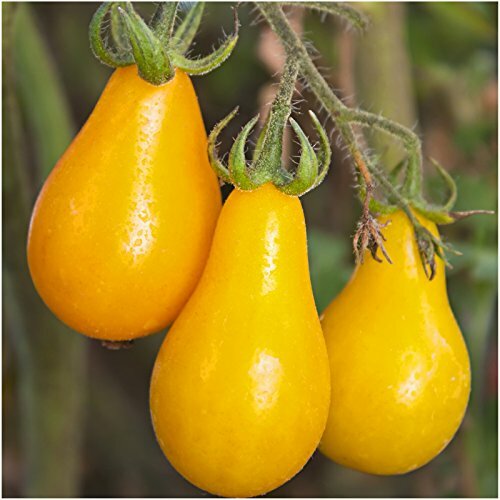 Grow Yellow Pear Tomatoes from freshly harvested Solanum lycopersicum seeds. 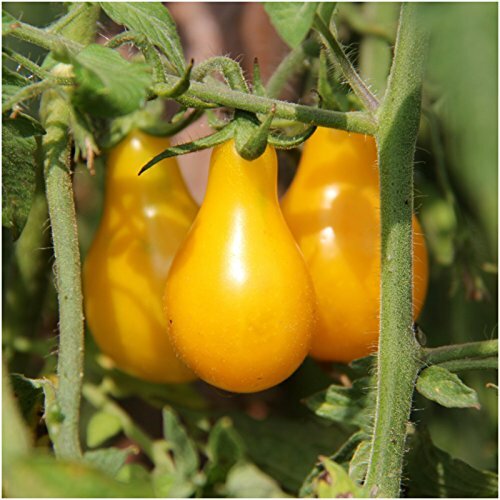 Yellow Pear produces delicious tasting, pear shaped tomatoes. They range in size from about 1.5" to 1.75" and can be picked from very productive plants. Ready for harvesting in about 70 to 80 days after transplanting. Each packet comes complete with a colorful illustration on the front side, as well as detailed sowing instructions on the reverse side. 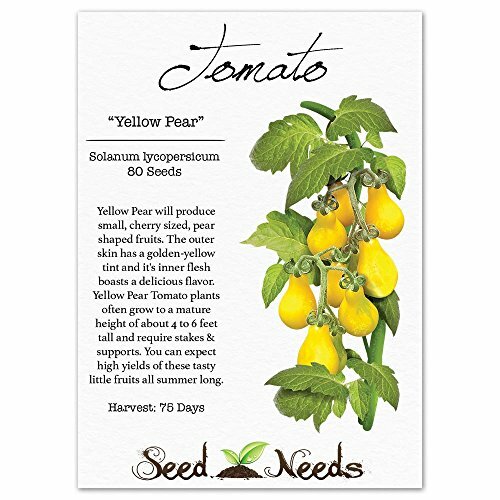 Quality Yellow Pear Tomato seeds packaged by Seed Needs. Each Package displays a colorful illustration on the front side, as well as detailed sowing instructions on the reverse side. 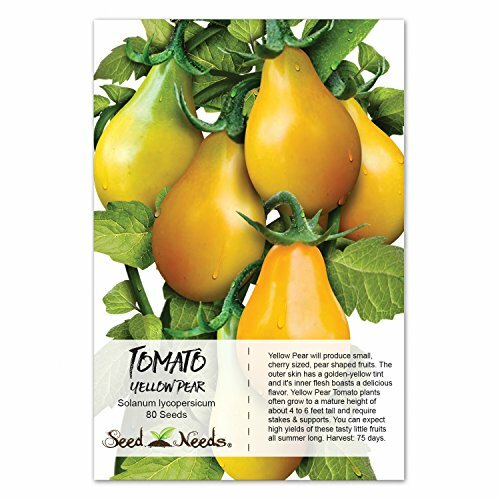 Yellow Pear produces 1.5" yellow, pear shaped tomatoes that have a delicious flavor. Yellow Pear is ready for harvesting in roughly 70 to 80 days after transplanting. Very Productive. 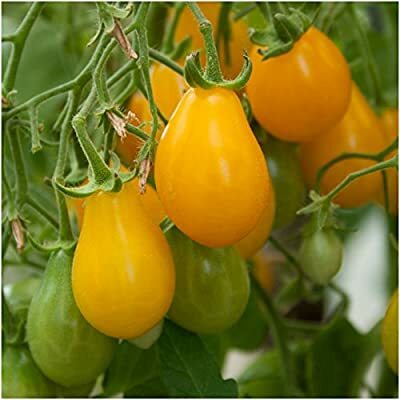 Tomato plants will mature to a height that's at least 36 to 48 inches tall. Stakes may be necessary to assist the plants growth. 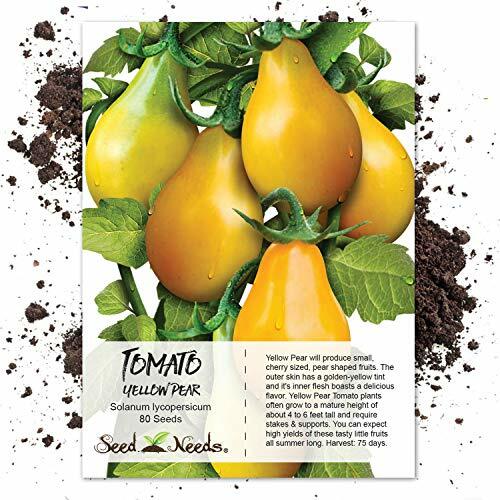 All Tomato seeds sold by Seed Needs are Non-GMO based seed products and are intended for the current & the following growing season. All seeds are produced from open pollinated plants, stored in a temperature controlled facility and constantly moved out due to popularity.